Matzah is an unleavened flatbread that takes center stage in the Passover diet. 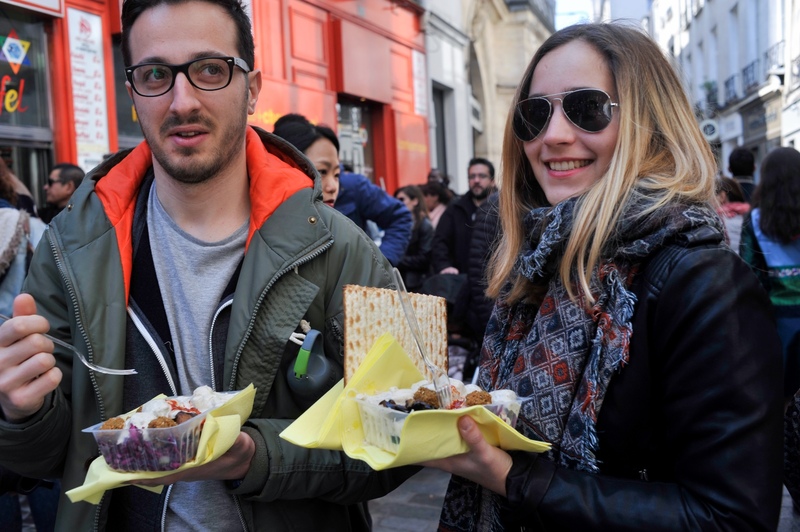 According to tradition, it is forbidden to eat chametz – leavened breads, cookies or cakes – during the Passover holiday and thus matzah, an unleavened flatbread, is eaten instead. According to the Torah, the Israelites were in such a hurry to leave Pharaoh’s land that there was no time for their bread dough to rise before baking it. Although technology has made it possible to bake bread quickly, traditions take precedence and matzah is eaten to remember the story of the Jewish exodus from Egypt. Today, Israeli matzah factories send kosher-for-Passover matzah products to over 50 countries around the world. 1. Matza, matzah, matzo, matzoh … a food with many spellings thanks to its Hebrew origins and no direct English translation. 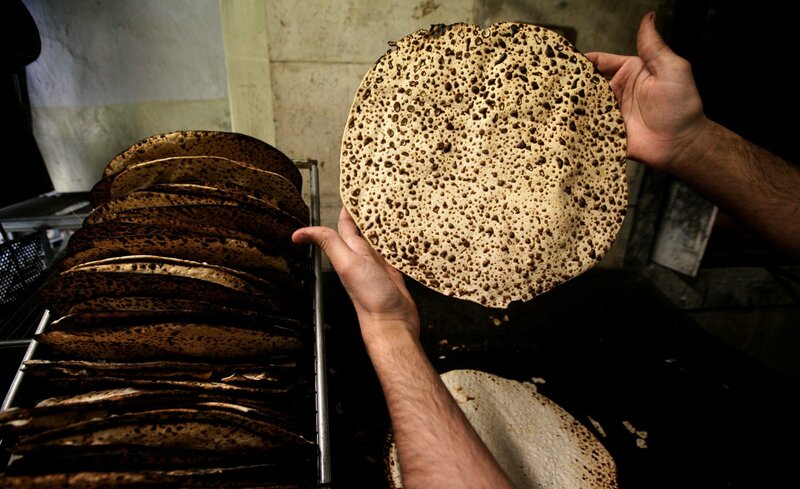 Matzah is also called “poor bread” and “bread of affliction” in the Torah. 2. Passover matzah vs. all-year-round matzah: The plain all-year-round variety tastes exactly the same as the plain Passover variety, but Passover matzah must be made specifically for the holiday. From the time that the wheat is taken to the mill to be ground into flour, it must be guarded from contact with moisture until water is added just before the baking process. Look for the label “Kosher for Passover” when purchasing matzah for the holiday. 3. Shmura vs. regular matzah: The strictest guidelines call for guarding the wheat from moisture from the time of harvest. This extra-guarded matzah is called shmura (“guarded”). There are handmade and machine-made varieties. 4. 18 minutes: Matzah has to be made in less than 18 minutes or else it is considered chametz. Rabbis cite numerous sources showing that fermentation takes place within 18 minutes after the exposure of cut grain to moisture. Eating matzah symbolically pays tribute to the Jews who didn’t have 18 minutes to wait around before running from Pharaoh. 5. Each square of regular machine-made matzah packs 111 calories. There are 46 calories in one matzah ball. 7. Spicy and gluten-free: While many Jews lament having to eat this crispy, cracker-like flatbread for the duration of the Passover holiday, matzah is a popular snack food among the rest of the population. As such, companies now produce flavored matzah, spiced matzah, chocolate-covered matzah and other versions. 8. 1838: the year Frenchman Isaac Singer invented the first matzah dough-rolling machine. Rabbis weren’t all that keen on this innovation, but the idea was eventually accepted. 9. 1888: the year Lithuanian immigrant Dov Behr opened the first matzah factory in Cincinnati, Ohio. Behr took on the name Manischewitz and named his factory the B. Manischewitz Company. In 2014, Sankaty Advisors bought the Manischewitz brand, still regarded as one of the most popular types of matzah in the world. 10. 1973: the year Apollo 17 astronaut Gene Cernan is reported to have shouted, “Manischewitz!” while walking on the Moon. 11. 2008: the year competitive-eating champion Joey Chestnut ate 78 matzo balls in eight minutes, according to the International Federation of Competitive Eating. 12. 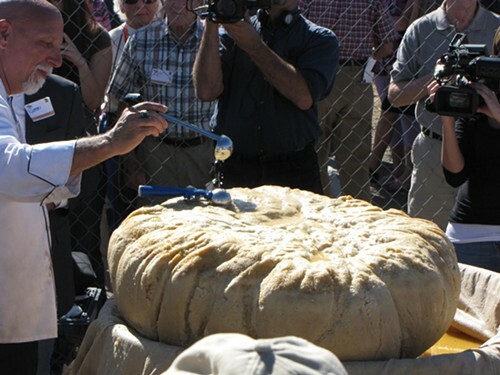 2010: the year Chef Jon Wirtis of Shlomo and Vito’s New York Delicatessen in Tucson, Arizona, created the world’s largest matzah ball (kneidl in Yiddish). The 426-pound (193-kg) monstrosity – comprising more than 1,000 eggs, 125 pounds (57 kg) of matzah meal (finely ground matzah), 25 pounds (11 kg) of schmaltz (fat) and 20 pounds (9 kg) of potato starch – and was created for Tucson Jewish Food Festival. 14. Hard matzah vs. soft matzah: Depending on your heritage, matzah can be a brittle cracker or a tortilla-like flatbread. Soft matzah is made by hand only. 15. Afikoman: At the Seder meal, there’s nothing like a good bite of matzah for dessert. The Afikoman is half a piece of matzah that is broken early on in the Passover Seder and set aside to be eaten after the meal. It is customary to hide the Afikoman and get the children at the table to find it. As the Afikoman is required to finish the Seder, children are encouraged to trade it for presents or candy.